Friendly group everyone welcome . A FREE Bi Weekly Group (12 meetings) to encourage healthy lifestyle options for you and your family. Sabitri and two of our volunteers completed a Health & Safety Course with Merton Council and so the Feeling Good Club members could go on Walks in Morden Park, this was so successful that EMC is looking into doing something similar in 2016. On day one Feeling Good Club members only walked for 20 minutes but after 3 sessions they started walking more, then going further for 50 minutes non-stop. 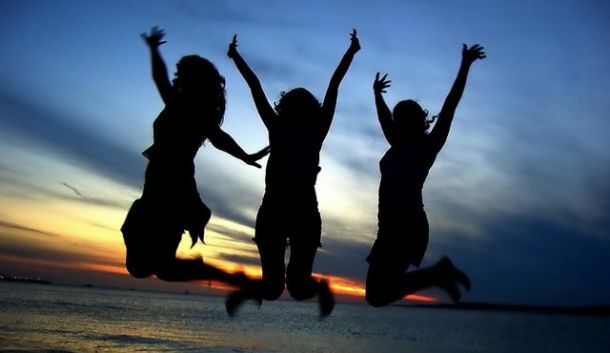 Members were happy, they want to start again. We are planning to start again in April 2016. 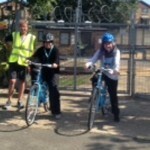 Feeling Good Club members were also given the opportunity to join Merton’s “Learn to Ride a Bicycle” scheme another activity to promote health & wellbeing. 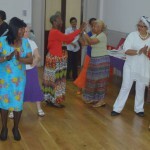 This Club was held at Mitcham Library, alternate Fridays from 10.30am to 12.30pm. Ballroom and Latin Dance, Indian Classical Dance, African Drumming & Ephemeral Arts and Yoga.